Unseasonal and fluctuating weather this year in the Mekong Delta has many farmers duly worried as huge numbers of yellow apricot trees have blossomed far too early, some fruit trees are not bearing fruit and several salt fields have been washed away. With two severe storms lashing the Mekong Delta region one after the other at end of last year and early this year, and unseasonal rain, cold and dry weather, orange, grapefruit and mango trees have failed to bear fruit. 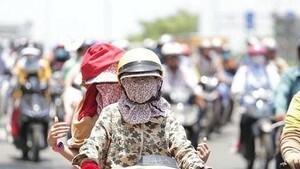 Thousands of hectares of salt farming areas in the Mekong Delta have also been badly affected. 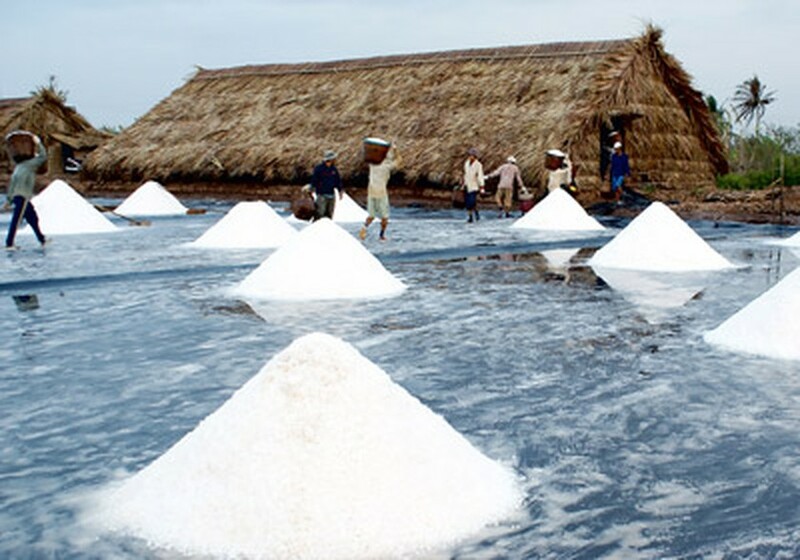 Le Van Thanh, an official from the People’s Committee in Bao Thanh Commune in Ba Tri District of Ben Tre Province, said that salt price is quite high but farmers have no salt to sell. The entire 600 hectares of salt farming area in the commune has been washed away by the two storms. In related news, the National Hydro Meteorological Forecasting Center said that Storm Sonamu weakened into a tropical low pressure system on the southern part of the East Sea on January 8. At 7am, the tropical low pressure system was located 350km south southeast of Con Dao Island with wind gales abating to level 6 to move at 39-49km an hour. Within the next 24 hours, the system will move south-southwest at 5-10km an hour and will downgrade into a low pressure zone by January 9. The storm has brought rain to the southern region including Ho Chi Minh City.